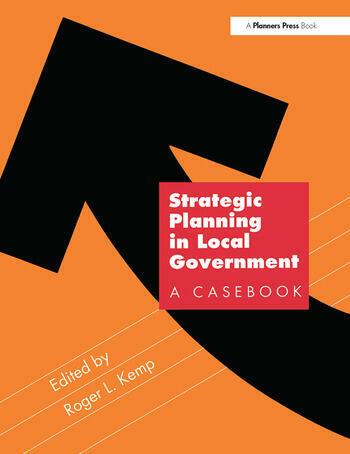 This book shows how and why strategic planning is working in cities around the country. It illustrates how this technique enables a city to plan its future proactively and shows how local governments use it to solve current problems and make sure they continue to reach their goals. Using seventeen case studies from a diverse mix of cities, it outlines the components of successful strategic planning, including program design, needs and capabilities assessment, implementation, and ongoing evaluation. In this book, you'll see how planners use strategic planning to synthesize population trends, economic conditions, business trends, strategies, and objectives. The authors emphasize that the planning process is not entirely theoretical; real world factors-like support from politicians-is crucial. This casebook includes discussion questions with each case. Also included is a chapter devoted solely to a strategic planning model. These features make the book valuable not only to planners on the job but also to students in planning and public administration.